When attaching files to your plans you can upload the file to our servers or you can link to the files that are already stored in your Google Drive. 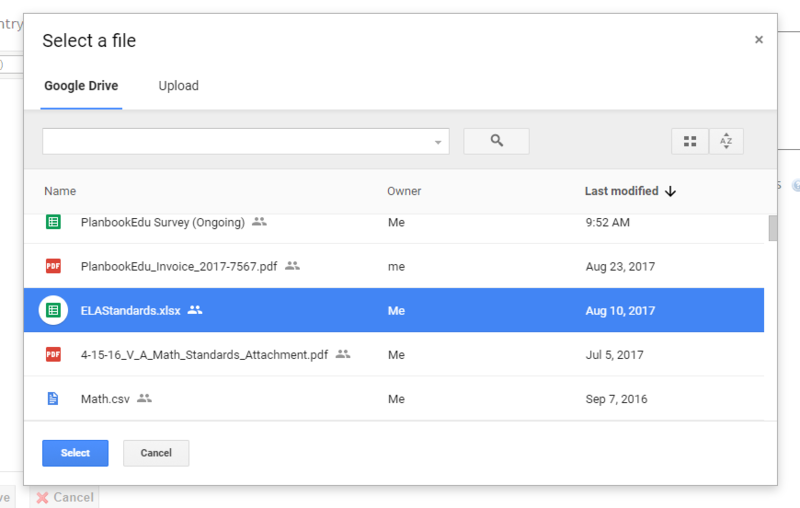 To see the option to select files from Google Drive you'll first need to link your PlanbookEdu Account to your Google Account. Click on Account in the upper right and then click Link To Google. If you have multiple Google accounts you can select which one to link. When you Edit plans you'll now see the icon for Google Drive. 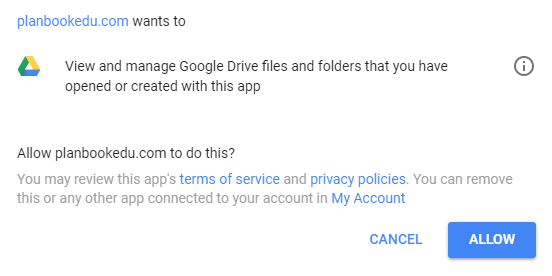 The first time you click the icon you'll need to confirm your Google account, as well as allow PlanbookEdu permission to access your Google Drive. After clicking Allow you'll be able to view your files in Drive. Highlight the file you want to include and click the Select button. If you don't see the file you are looking for try entering part of the file name into the search box. You can also upload file directly to Google Drive. Click the Upload tab and you will be able to select a file from your computer to store in Drive. Once you select the file it will upload to Drive and also be attached to your plans. How Do I Adjust the Box Size?